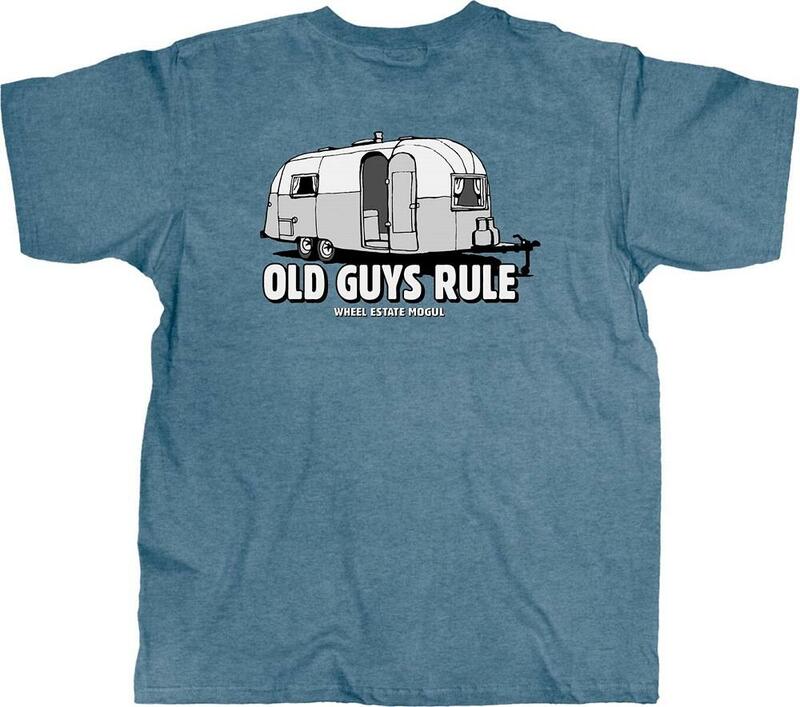 Old Guys Rule Wheel Estate Mogul Camper Trailer T-Shirt Blue OG1152 - Free Shipping over $99 at California Car Cover Co.
Old Guys Rule T Shirts & Apparel is a collection of t-shirts and apparel that speaks for itself...Old Guys Rule! 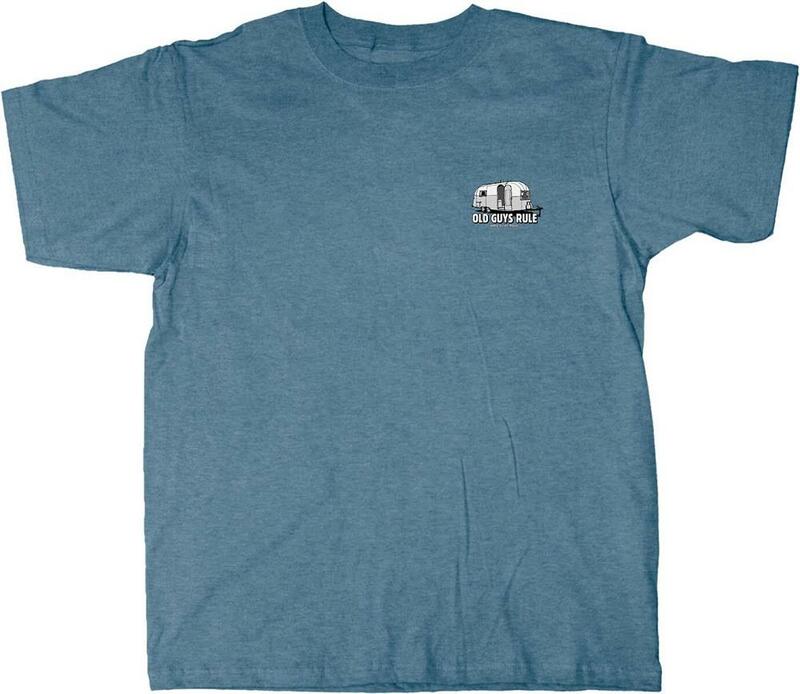 The Old Guys Rule Wheel Estate Mogul Camper Trailer T-Shirt OG1152 is made of preshrunk 100% cotton that is direct dyed and enzyme washed for superior color and legendary softness. Large logo across the back and small logo on the left chest.